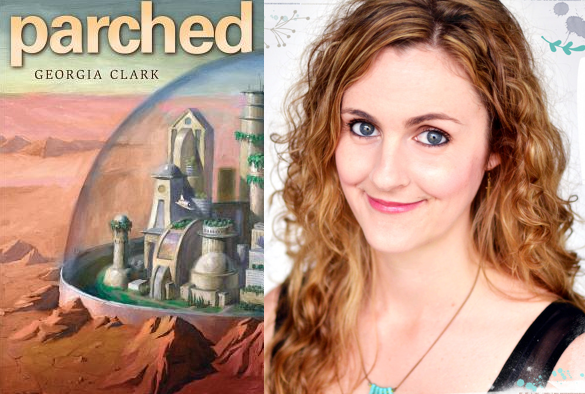 Georgia Clark is the author of futuristic fantasy novel Parched, a story of robots, renewable resources, and romance. After the death of her scientist mother, sixteen-year-old Tessendra decides to join a rebel group and risk her life to bring justice to the people living outside the utopian city of Eden. 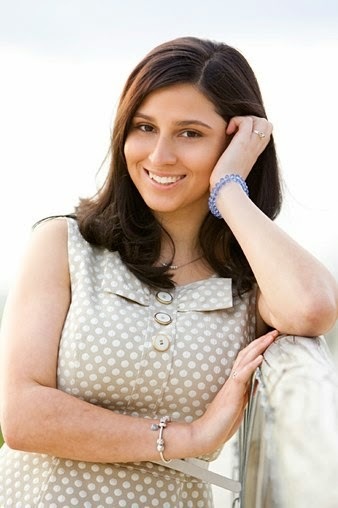 Georgia is also a teen and lifestyle journalist who's written for Cosmo, CLEO, Daily Life, Sunday Life, Girlfriend and more, and an Australian who is now based in New York. She's a travel enthusiast (having visited fourteen countries) and studies improvisational comedy. Pretty cool, right? I'm thrilled to be hosting her today on the blog to talk about her favourite and most compellingly page-turning adventure novels! This was one of the first ‘adult’ books I read as a young girl. I remember being thoroughly enchanted by the cover, which promised otherworldly adventure, and the size of the sturdy little paperback: at four inches thick, this would be no small feat! The Hobbit is simply marvellous: a true adventure novel in every sense of the word: entirely unique with breath-taking action, high stakes, unforgettable characters and lore that has stood the test of time. One ring to rule them all… Wonderful! Another beloved staple of my childhood, consumed when my imagination was such a ripe and fertile thing that it really felt like I was there, alongside the Drew family, searching for the legendary Holy Grail in the windswept hills of Cornwall. I have vivid memories of the Greenwitch, Will Stanton, the Things of Power; the mix of myth, magic and memory that all good fantasy-adventure stories possess. Being an Aussie, I was raised with equal parts American and British culture, and thus feel quite fond of UK classis such as The Five Children and It, the Narnia chronicles and the Famous Five. But The Dark is Rising was always my favorite, kicking off a lifetime love of action and adventure! I bought Jurassic Park when I received a book voucher for coming first in something in Grade 10 (English? I can’t remember), and was so excited to buy the just-released, much-hyped Jurassic Park. Funnily enough, by the next year I’d come to see this purchase as embarrassingly popular and not in line with my growing love for clever, wordy intelligent art: Grade 11’s voucher was used to purchase a biography of Woody Allen. Now, taste (and my concern with how its perceived by others) has come full circle, and I am happy to say: this is a fantastic book, made into one of my all-time favorite Spielberg rollercoasters. 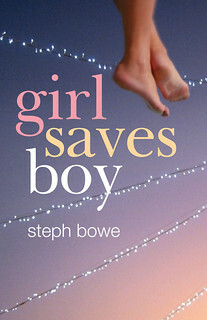 If you liked the movie, try the book! Okay, now I’m rrreeeaaaallly stretching the definition of ‘adventure’, but it’s worth it and here’s why. Glamorama is a monster of a book. A snarling, terrifying, truly impressive monster. Definitely NOT YA, definitely NSFW. This brutal, startling novel is Bret in full control of his literary ability, flexing like a jungle cat looking to intimidate his prey. 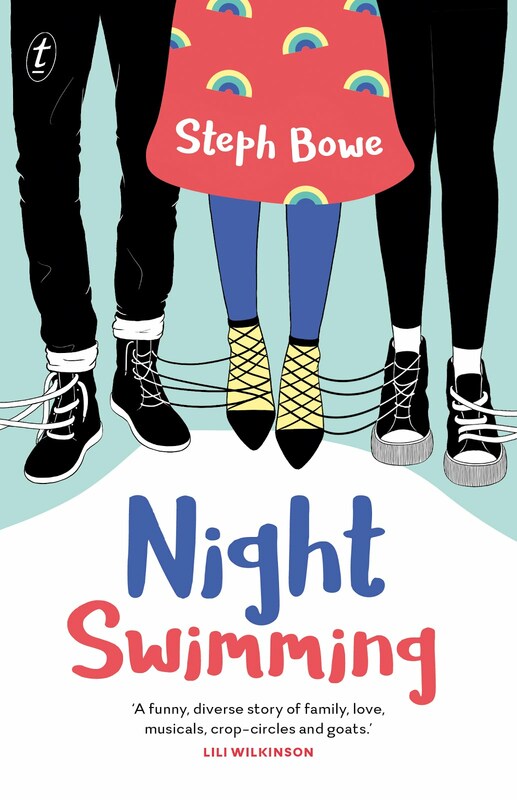 The story follows achingly hip, intensely vacuous Victor Ward, who accepts a mysterious offer to leave New York for London to track down a college friend, Jamie Fields, and return her to America. This plan quickly goes awry, and Victor’s shallow, simple life of parties, paparazzi and posing nosedives into something much more serious and threatening. 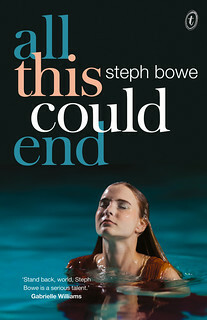 Equal parts satire, thriller and post-modern exploration, this very funny, very dark story is one of my all-time faves. High recommended! Thanks, Georgia! For more info about Parched and Georgia Clark, check out www.georgiaclark.com.